It seems as though Delaware Governor Jack Markell has only one arrow in his quiver of ideas on how to, well how to solve any problem facing Delaware. So the latest great idea (sarcasm intended) from the Governor is this clean water tax, and how to spend it. It’s not bad enough that the Governor, and the Democrats in the Delaware Legislature want to raise Delaware’s gasoline tax by ten cents, and also tie future increases to inflation to automatically trigger increases, but now the Governor, along with many Democrats want to impose a so-called clean water tax on each and every tax paying citizen. Okay, so you may say that every citizen will benefit from cleaner water, I would agree. However the Governor’s plan seems to be to take the money from this tax and pay it out to the largest polluters in the state. I know, I know, polluters are the ones who should be paying large fines and expenses for being polluters. Well not in Governor Markell’s candy mountain land . No, no. Here in the land of endless taxes, Governor Markell wants to take $120 million dollars away from hard-working citizens, and give it to the polluters to, “HELP”, clean up existing areas of pollution. A few of the proposed recipients of the Markell Christmas gift to these polluters would be, The Delaware City Refinery, owned by PBF Energy, a company that is not struggling, but is paying dividends and expanding. Another of the corporate charities would be Sussex County’s own ongoing debated industrial site, the closed down Pannicle pickle plant, which has been proposed as the future site for a chicken plant to be owned by Allen Harim, along with NGR’s Indian River Power Plant. And tucked away in the discussion is the heavy locomotive yard in Wilmington for Amtrak, you know the already heavily subsidized failure of a transportation project. So Governor Markell would take $120 million a year, for five years (and if you think after five years it will go away, well I got some swamp land outside of Little Creek to sell you), out of the economy, money that would be spent on cars, homes and home improvements, away from small businesses that would use it to expand and hire, money that would be spent to buy appliances, and to go out to dinner, to take vacations to the beach, all that money would be given to companies that have allowed their operations to either fall behind on industry improvements, or they have wilfully ignored the rules and regulations. Either way, I am not sure that subsidizing the clean up with tax dollars sends the right message. In my view what it says is, go ahead and pollute, and when it gets bad enough, we the state tax payers, will step in and pony up the cost of cleaning up the mess. This is like cleaning up your child’s messy room, if you clean it they will never learn to keep it clean themselves. So you see in the world of the Democrat mindset, we all contribute to the problem, so we all must help pay for the clean up, except those who actually caused the mess, or those who want to profit from the use of these sites, they benefit from their careless actions. So in Millsboro for all their crying, the people will get to pay higher taxes to pay for the clean up, plus they will pay for improved sewers, and they will still likely get to live next to a chicken plant. Oh if only they had waited and not fussed, Allen Harim would have paid to clean up the site. Of course in the age-old tradition of the Democrat giveaway, Governor Markell says that his clean water tax would create up to 6,00 jobs. Oh really? And what kind of jobs would those be Governor? Inspectors? Paper pushers in DNREC ? Just how many of those jobs would end up being more government jobs, more union jobs to create Democrat voters? Before I get criticized for only being negative with no solution for the problems, let me say that maybe we could create an incentive plan to solve this problem. Maybe instead of actually subsidizing these clean up an improvement projects, maybe for every dollar a company spends to clean up and improve they get a tax deduction, much like deductions for energy improvements that home owners receive. So if Allen Harim comes in and spends millions of their own money to clean up the site, and make improvements, they receive tax deductions, the same for any of these large-scale polluters. And those who don’t clean up, or improve to meet code, they should be held accountable. In this way any jobs created by the clean up and improvements would still be created without taxing the citizens. Which would help offset any revenue loss caused by the deductions. Let’s face it, these sites didn’t spring up overnight, most have a long history of violations and warnings, again a lot like dad in the car threatening to “turn this car around if you kids don’t settle down”. 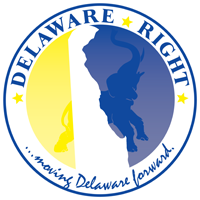 Delaware has done a lousy job of enforcing the laws and regulations that it has passed. Let us not forget who has been running the show for quite some time by the way, the Democrat Party, the very party that touts its environmental conscience. So now a Democrat governor wants to spend $120 million a year, of our money, to pay for a problem that has been allowed to grow unfettered for decades. I recognize it is a very tricky line to walk, to hold these companies accountable while not running them out of the state, or deterring others from coming here, and in so doing, losing jobs and revenue. However what is the point of having environmental regulations if you will not enforce them. But having tax payers paying the cost is not the answer. Governor Markell needs a new pony to ride, one with a few more tricks, this one trick pony of tax and spend is getting old, and is dangerous to the future of the economic life of the state of Delaware. 6 Comments on "Gov. 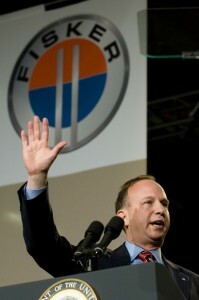 Jack Markell’s One Trick Pony"
Which Democrats in the legislature are supporting the gas tax? Every media story I’ve read says the Governor is struggling with his proposals. Even the leadership is not supporting these taxes. First of all, Government does not create wealth, it confiscates wealth. Second, those who polluted should pay. use a “cowboy” to correct a botched job. Gaiam sells a toilet sink lid that gets installed over a conventional toilet. of contaminates possible, then a reverse osmosis system is whaqt you’re looking for. New legislation is required to have a fiscal report that estimates the cost of its implementation. Wouldn’t it be great if proposed tax increases required a report that there are no cost savings measures, increases in efficiency or other means to achieve the same result? radef16, logic will not be applied in government at any cost! Would a GOP governor tax polluters to fund the clean-up ? Say Jack’s ideas are ill-conceived all you want. The fact is “ill-conceived ideas” beats NO IDEAS, every other first Tuesday in November.